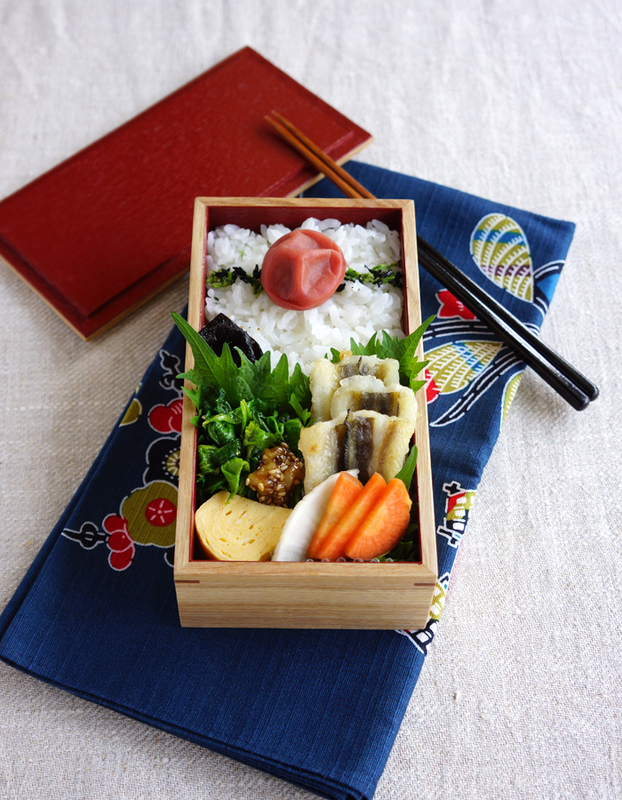 How to pack tempura anago and food into the bento box. 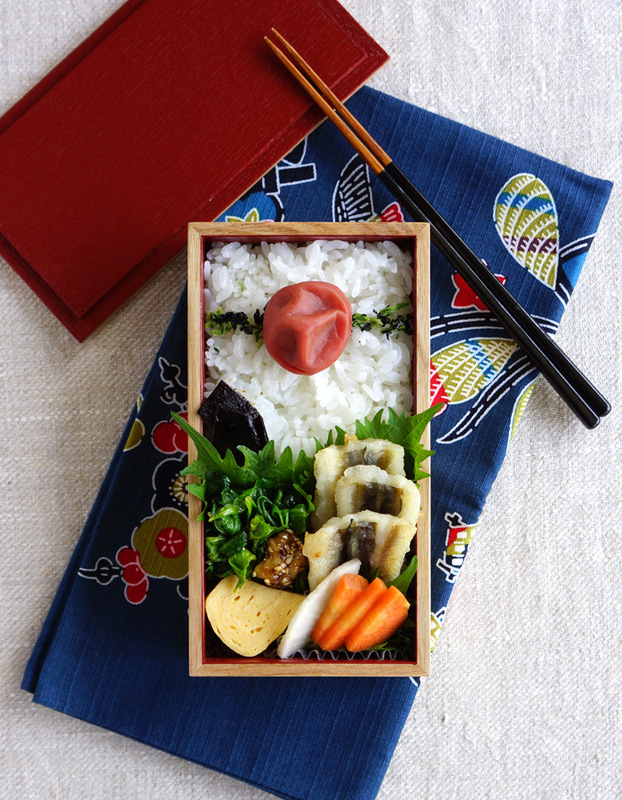 Fill half of bento box with rice and use shiso leaves for dividing the rice from the other food. Put the empty part of the box with main dishes. Fill up any gaps with vegetable side dishes and pickles.